Recently it’s been revealed to the public that the Orioles are letting the 29 other teams of Major League Baseball know that they’ll be looking at offers for their prized 3rd baseman, Manny Machado. 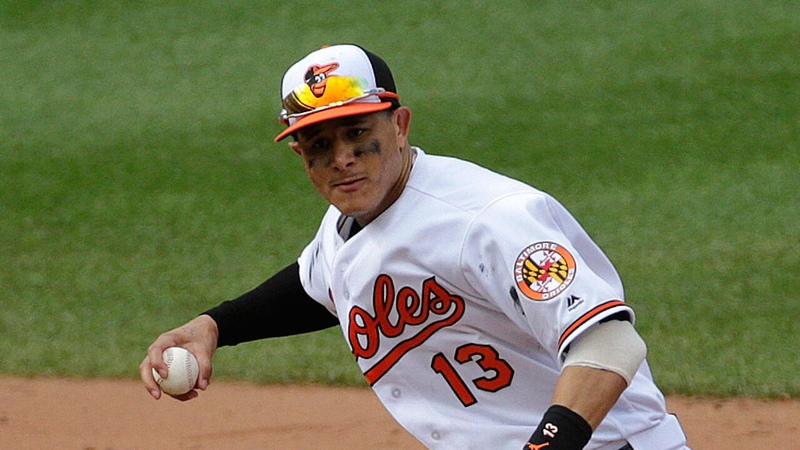 It’s rumored that once Machado becomes a free agent after the 2018 season, he’ll put himself on the market as a shortstop, the position he played before moving over to 3rd for the likes of Hardy. In 2017, Manny Machado hit 33 home runs while driving in 95 RBI’s & manned down 3rd on a daily basis. He also hit 33 doubles while also crossing dish 81 times. In the last three seasons, the 24 year old superstar infielder averaged 35 home runs, 95 RBI’s and an .840 OPS in a hitters friendly park & division. These numbers play really well for a third baseman but they would play even better for shortstop. I would question his defensive ability at the position since he hasn’t played there on a regular basis. Reports are coming out of the Yankees possibly showing interest. The White Sox are also surprisingly interested & do have a loaded line of high end prospects that the O’s may be interested in. Previous Mets taking a long look at Shaw to strengthen the Pen. Let someone else deal for him if Baltimore is truly willing to let him go. It’s a one year rental. Lets see if Sandy and the Wilpons will open the checkbook next offseason for him. If convinced to stay at 3B he would look good next to Rosario for the next decade.